ISLAMABAD: Medical expert Thursday said with the mercury dips in many parts of the country, the number of people suffering from respiratory diseases was steadily rising specially kids, suggested citizens get vaccinated against the seasonal flu. Senior Physician Dr Zain Shahbaz said, several citizens, including children, have complained of ailments such as the flu, fever and nausea which are on the rise due to freezing cold. He said that simple precautions, such as properly washing one’s hands and covering the face while coughing or sneezing, can reduce the spread of such infections. 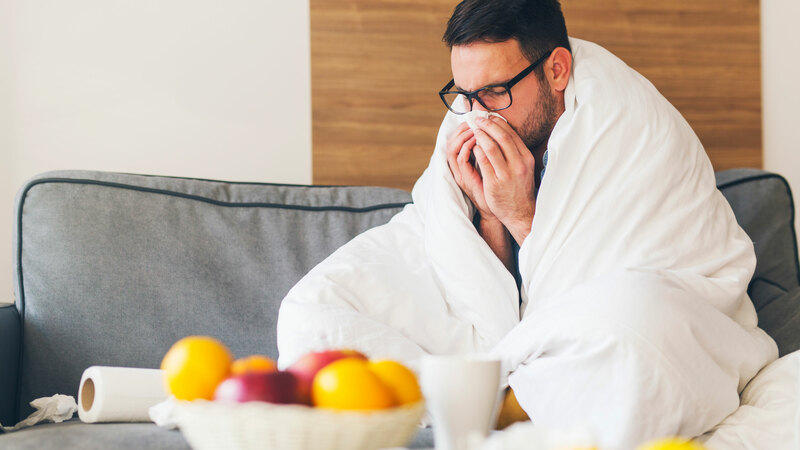 He said that since the early onset of winter, people must take care to stay warm in order to avoid the cold, the flu and dry skin, which are all symptoms of respiratory ailments. He stressing on cleanliness said the children must be enforced to wash their hands every time while going to a toilet and coming back home after a playing activity outside. He also advised health departments to launch a public awareness campaign in this regard. He said that common cold and flu in children should not be taken lightly as these might lead to lower respiratory tract infections including pneumonia. Dr Zain explained that a cold and the flu have many of the same symptoms. But a cold is generally mild, while the flu tends to be more severe. Stop smoking and avoid second hand smoke. Drink plenty of fluids, at least eight to 10 glasses of water and fruit juices preferably orange juice. Fluids ill help loosen mucus. Drink hot tea or water with lemon and honey. Avoid close contact with people who have a cold. Wash your hands after touching someone who has a cold, even when shaking hands, after touching an object they have touched like doorknobs and after blowing your nose, he mentioned. Rising level of pollution is also a major reason behind the increasing number of patients, Dr Zain said. He said that children in schools are more prone to catching the virus and transmitting it to the family. He said although the flu vaccine might cause some allergies or even cause “slight fever”, doctors recommend people to take the vaccine. However, the vaccine is not recommended for people with severe allergies and those with acute illness.